Patch & Prep Work - Liquid Stone Inc.
LSI has more than 40 combined years experience in grind and fill self-leveling of concrete slabs in new or refurbished slabs in both commercial applications and high-rise projects. Our highly experienced team reviews each project requirement to establish a method to quickly and effectively work to resolve leveling issues while meeting budgets, timelines and minimize the impact on any construction project. Our service will insure that we map, mark, grind and fill to level uneven, grooved, and/or heavily pitted floors in order to meet flooring specifications and tolerances suitable for installation of sheet vinyl, vinyl tile, ceramic tile, hardwood or carpet. In many cases slab restoration can vary in depth from featheredge to depths of 2 inches. The most important part of installation is the preparation. 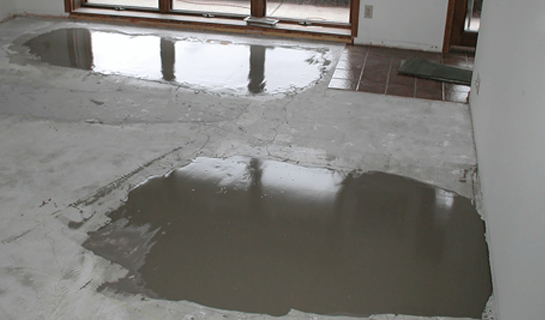 Contaminants, such as oil and dirt should be removed prior to flooring installation. Cleaning and profiling provide better adhesion, ensuring any installed floor will have a longer lifespan. LSI prepares your floor for any kind of finished flooring, from leveling, shot blasting, diamond grinding, scarifying, or sandblasting, we have a solution for you.